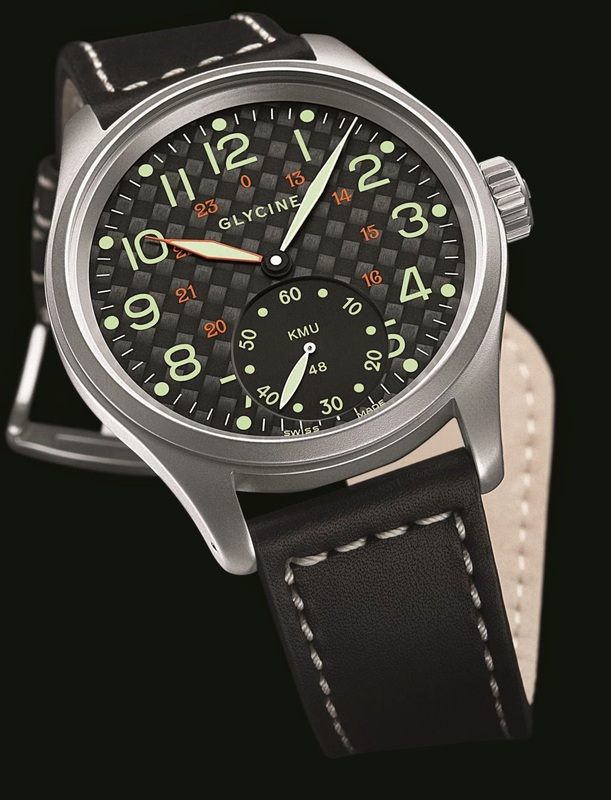 The origin of the KMU 48 reaches back to the world-famous military watches of the last century. Ten years ago, Glycine launched the first replica. Now the trilogy of the limited edition big-size classics is completed: With the new KMU Limited 09. Sandblasted steel case, carbon fibre dial, big-size small second at 6hours, hands with strong luminescent material – these are, at first glance, the clear-cut features of the new KMU Limited 09. The watch is equipped with the refined movement Unitas 6498 and has a diameter of 48 mm – quite in line with its name. After the limited edition series of 2005 and 2006, the trilogy of this big-size classic is now completed.